The Pangu jailbreak tool has worked wonders for iPhone and iPad users running all flavors of iOS 8, but thus far, the utility has only catered to those on Windows. Sure, there is an easy workaround by means of virtualization, but Mac users have been crying out for a proper, native tool for OS X. The Pangu team has already suggested that a variant of Pangu8 is in the offing for Mac, and as per the latest update, it could now be just a couple of days away. In a follow-up tweet to the announcement of Pangu8 1.2.1, which, by the way, bundles in the very latest version of Cydia, the Pangu team also reiterates the point that a Mac edition is on its way, although stresses that those eager to get their hands on it should remain patient. While it has been great to witness and report on the latest jailbreak, it will, like all good things, be coming to an end rather soon. On this particular occasion, Apple has been swift in plugging the exploits that have made Pangu8 possible in the first place, and although iOS 8.1.1 remains beta software for the time being, its eventual end user release will prevent users from jailbreaking. It’s often the case that we get one jailbreak per major software update, but with Pangu having also surprised us with the iOS 7.1.x untethered jailbreak earlier this year, anything is possible. 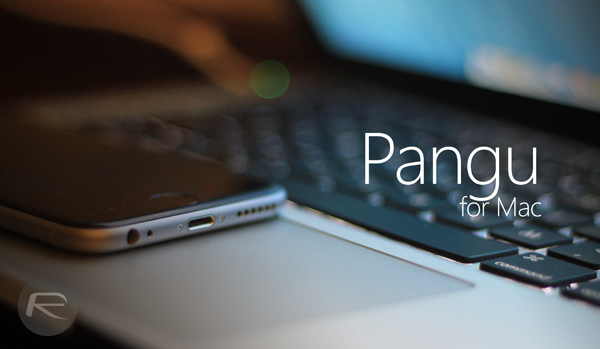 We’ll keep you posted on any further info or updates, as well as details and instructions regarding the Mac version of Pangu8 as and when it arrives, so stay tuned! So the official ETA is “It may come out in a couple of days.” That sounds solid to me. Hopefully it isn’t a buggy mess like the windows version.